Threading is one of the primary methods of facial hair removal, but its mechanisms—which can trace their roots back to ancient societies in Southeastern Asia—remain kind of unknown to most people. Yet, still, because of its precision, it has subsisted to today as one of the main ways to remove unwanted hair. A cotton thread is pulled along unwanted hair in a twisting motion, trapping hair in what can be described as a mini lasso, and lifts it up and out of the follicle. Because it removes hair from the follicle, it can last up to six weeks. And, unlike waxing, it barely hurts. The discomfort has been compared to tweezing, but threading removes hair quicker, so it's over sooner. Not only that, but it's extremely sanitary. Nothing but the thread touches the skin, and every thread is thrown away after use. There's no need to worry about double-dipping like with waxing, or other tools not being sanitized (although everything should still be sanitary, of course.) No chemicals are even applied on the skin. With a string, there are less products used, which prevents the unnecessary irritation from allergies sugaring and waxing can sometimes cause. Usually, however, the technician will cleanse your skin before removing the hair—so do tell them if you have any allergies. Because it has an ability to be incredibly precise in getting every hair, it's great for people who have particularly difficult brows. Many people say that other shaping methods, like tweezing, waxing, or sugaring, could not make their brows look even, but threading does. It's good for all areas on the face, and quite fast, Although every technician is different, it can take as little as two minutes even from start to finish. Like other hair removal, some growth is needed—but significantly less than with other forms of hair removal, only about 1/16 of an inch. There are some downsides to the technique. 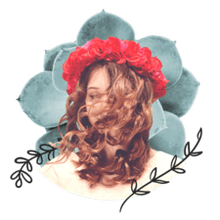 Over time, frequent threading can cause the hair follicle to become damaged and stop growing hair (although, some might consider that an upside.) If done incorrectly, the hairs could also break, which can lead to unevenness and ingrown hairs. So it's important to find a good tech; unfortunately, good techs are few and far between. Threading is often passed down through generations, and isn't something you can learn at most trade schools. Most technicians have learned the technique by having it passed down to them, but it's not totally unteachable. 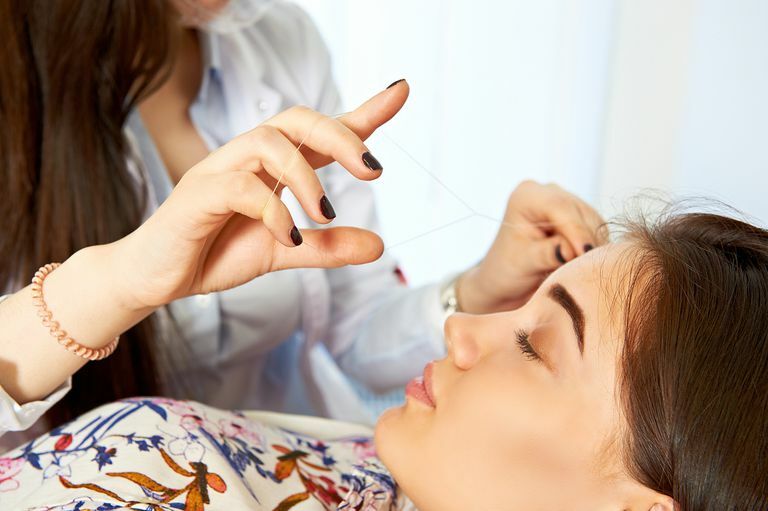 Threading technicians might not be as common as waxing technicians, but they're not difficult to find, and cost is about the same as a wax, sometimes even less. Unfortunately, however, this is one technique you probably won't be able to learn for home use.